"Mikkonen shares her secret concoctions for some incredibly delectable pastries, as well as confections like sea salt toffee candies and peanut toffee chocolates. But the standout recipes are those for Mikkonen’s rich but not too indulgent cakes. She creates decadent flavors with light, nutritious ingredients like coconut milk and almond flour, and the images in It’s a Pleasure are enough to make your mouth water." 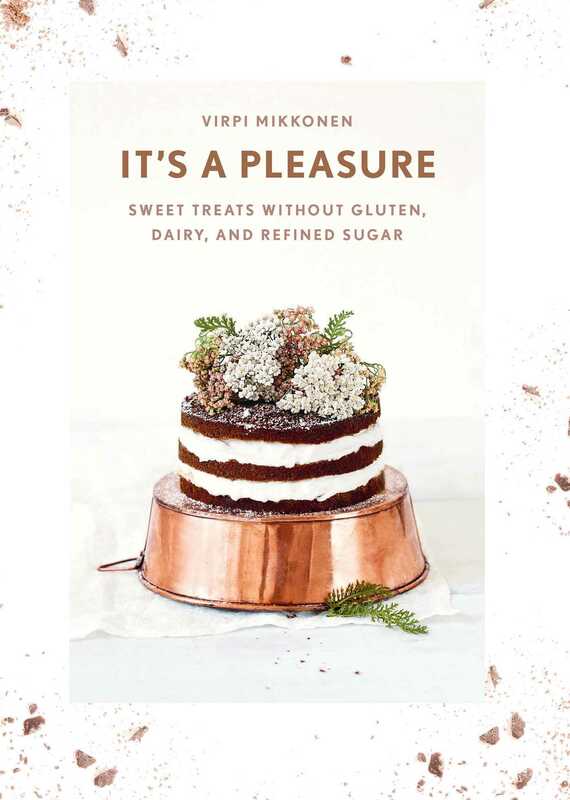 "In her book, Mikkonen shares the virtues of sweets rather than their sins. Encouraging us to let go of the guilt often held when we decide to indulge in a cake loaded with refined white sugar and wheat. Completely banishing these two ingredients, she encourages the use of natural flavors and nutritious raw ingredients like coconut cream, dates and almond flour. With nature’s sweets and her creativity, Mikkonen makes equally or even better sweet indulgences compared to their refined sugar and wheat counterparts." "This aesthetically gorgeous compilation of sweets showcases how easy it is to make gluten, dairy and refined sugar-free recipes without sacrificing the flavor (or fun!) The book is a true dessert and foodie lover’s dream – a compendium of Instagram-worthy sweets, made from high-quality, nutritious ingredients."